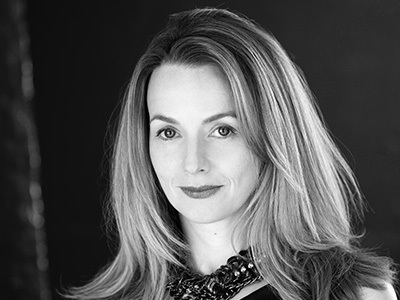 Sarah Tynan studied at the RNCM and the RAM where she was awarded the Queen’s Commendation for Excellence. Previously for ENO: Lucia Lucia di Lammermoor, Rosina The Barber of Seville, Partenope, Marzelline, Sharon Perfect American, Susanna, Sophie, Adina, Ilia, Zerlina, Tytania, Dalinda Ariodante, Woodbird, Iphis Jephtha, Romilda and Atalanta Xerxes, Constance Carmelites, Yum-Yum, Gianetta Gondoliers. Notable engagements elsewhere: Ginevra Ariodante (Scottish Opera); Britten Les Illuminations (staged at Aldeburgh Festival); Merab Saul (Glyndebourne tour); Manon Lescaut Boulevard Solitude (WNO); Ruggiero Tancredi (Théâtre des Champs-Élysées); Cleopatra Giulio Cesare, Carrie Carousel (Opera North); Fiorilla Il turco in Italia (Garsington); Despina (Opera Holland Park); Hari in Dai Fujikura’s Solaris (Théâtre des Champs–Élysées, Opéra de Lille, Opéra de Lausanne); Adina, Despina Cosi fan tutte (Opera Holland Park); Valencienne (Philharmonia); Susanna (Cincinnati); Dalinda (Oviedo); Iris Semele (La Monnaie); Servilia (OAE/Gardner, London/New York); Al gran sole carico d’amore (Salzburg Festival); Megan The Sacrifice (WNO); Sharon (Teatro Real, Madrid). Recent concert appearances include: Semele (Handel & Haydn Society); Poulenc Stabat Mater (Ulster Orchestra); Woglinde Das Rheingold (Hallé); Tippett A Child of Our Time (BBCSO); Ryan Wigglesworth’s Augenlieder (CBSO); Haydn Creation (Handel & Haydn Society, Bergen Philharmonic, Garsington, Indianapolis Symphony); Handel’s Solomon (Gabrieli Consort); Unsuk Chin’s Kala (BBCSO); Carmina Burana (BBCNOW); Mahler’s Symphony No. 8 (Philharmonia, RSNO); Le carnaval de Venise (Le Concert Spirituel); Vaughan Williams’s Dona nobis pacem (Bergen Philharmonic); Viennese Gala (RSNO, Opera North) and appearances at BBC Proms. Recordings: Elvira Italian Girl, Dew Fairy Hansel and Gretel, Barbarina, Constance (Chandos). Forthcoming: Pat Nixon Nixon in China (Royal Danish Opera).